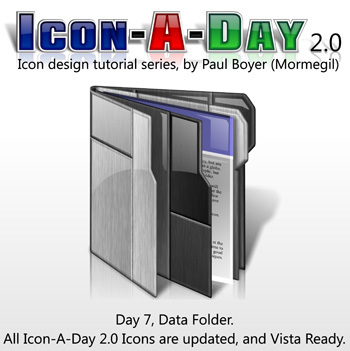 WinCustomize: Explore : Icons : Icon-A-Day 2.0, Day 7, Data Folder. Icon-A-Day 2.0, Day 7, Data Folder. This is the day 7 of the ongoing Icon-A-Day series. This Zip contains the Windows Vista Data Folder Icon, in all the popular resolutions, including full size 256x256 Vista Ready versions.